The term fraud is very broad and it can refer to many things – insurance fraud, credit card fraud, identity theft and other schemes. All of these, however, refer to a similar type of offense that is punishable by law in Arizona and across the US. How Is Fraud Defined in Arizona? A.R.S. 13-2310 states that the crime of fraudulent scheming is committed whenever an individual creates a scheme or a plan to defraud others knowingly and to receive benefits as a result of this illegal activity. To put it in simpler terms, fraud is a range of criminal offenses that involve dishonesty, manipulation and misrepresentation to intentionally deceive another person and receive personal benefits. Depending on the type of fraud scheme and the nature of the fraudulent activity, this crime can be addressed either on state or federal level. As you can see, the term refers to a very broad range of actions. Some of these activities fall under the white collar crime category. Others, like bribery for example, can be carried out on a much bigger scale. In some instances, fraud is committed against an individual. In others, it involves a company, an organization or even a governmental institution. 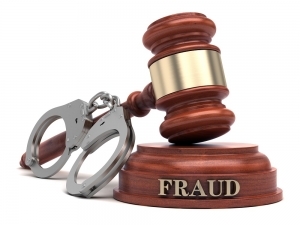 Fraud is usually a Class 2 felony offense in Arizona. Depending on the nature of the activity, there may be additional charges that will increase the scope of sanctions in the event of a person being found guilty. Several elements will have to be established for fraud to be proven. A fraud charge will have to establish misrepresentation of fact by someone who knows the presented fact is false. In addition, that person should rely on the misrepresentation to cause injury or losses to someone else. In Arizona, a first time offense is a Class 2 felony that carries probation to one year in jail or a prison sentence of up to 12.5 years. There will also be fines that can reach up to 150,000 dollars. In the event of unemployment fraud, a person that’s found guilty can expect a prison sentence of one year and a fine of 150,000 dollars. Whenever fraud causes losses exceeding 100,000 dollars, there will be no probation option. The defendant will face prison time if found guilty. Depending on the nature and the severity of the crime, it could also be prosecuted in federal court. Federal crimes carry much more serious sanctions and harsher penalties. In addition, a defendant may be ordered to pay civil penalties to compensate a victim in a couple of distinctive ways (covering attorney fees, paying restitution, etc.). Arizona criminal lawyers often deal with fraud charges because of the broad scope of activities falling under the category. Based on the specific charge and the evidence, a lawyer will seek the right defense strategy that will prove one’s innocence, contribute to the dismissal of the charges or result in the most lenient sentence. Showing there was no intention to defraud anyone is a common line of defense. The activities of a defendant need to be intentional and purposeful for them to qualify as a crime. It’s also possible for a lawyer to attempt establishing the fact that any benefit a client received was provided with the consent of the alleged victim. Evidence of mutual agreement or understanding between the two entities will be sufficient to establish the fact that no fraudulent activity occurred. Procedural violations like a violation of the defendant’s Miranda Rights can also be incorporated in the defense strategy to get some or all of the evidence dismissed from the case. Click here for information on collateral DUI consequences in Arizona. What Is a No Contest Plea and When Should You Make It? Do Police Officers Really Plant Evidence?